From a great location, private entrances and yards, to oversized eat-in kitchens, Fleming Creek has everything you need. Browse the gallery of Fleming Creek Apartments to witness for yourself the amazing views and beautiful surroundings of our community. 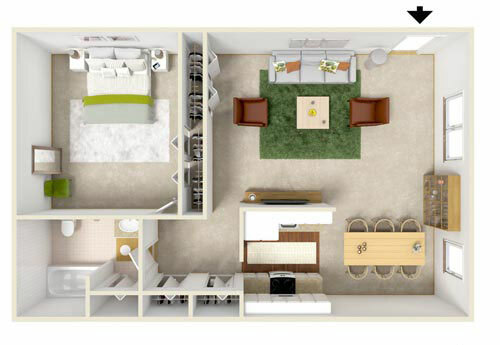 Come discover an open great room and plenty of storage space! 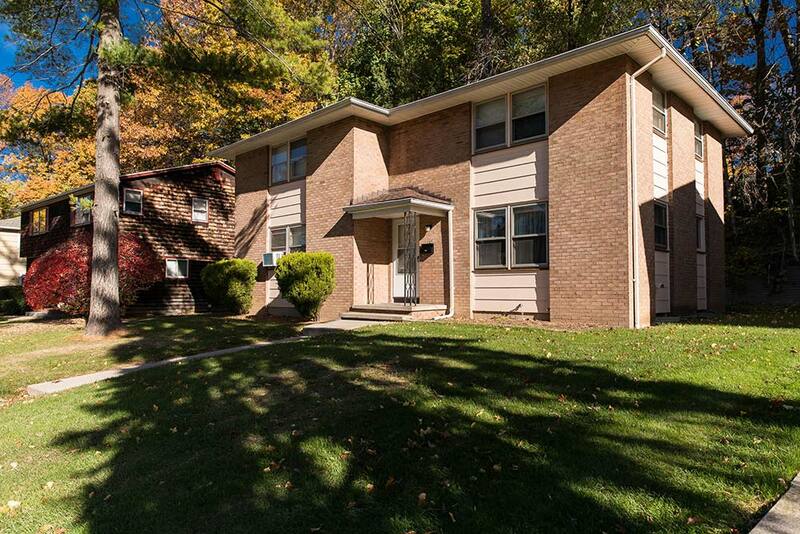 Large windows provide natural light, and every townhome has a yard. 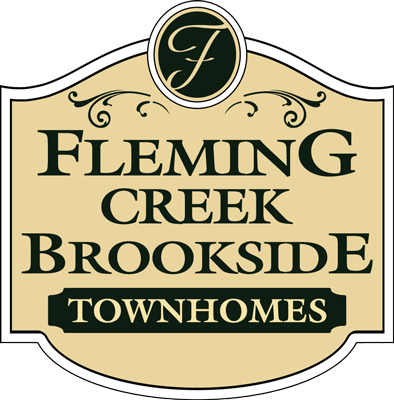 Welcome to Fleming Creek & Brookside Townhomes. A Cozy Village with Apartment Perks! 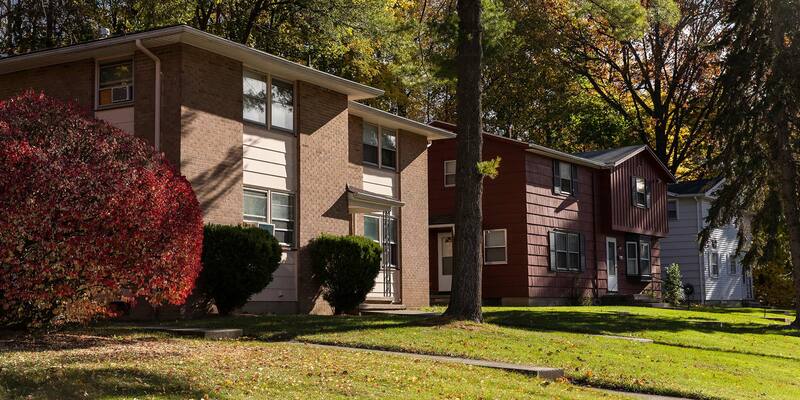 Fleming Creek & Brookside is a townhome community that blends seamlessly into the quiet residential neighborhood of Rochester, New York. A peaceful, winding road lined with tree-shaded sidewalks leads to our fantastic community, where you’ll find distinctive homes with unique characteristics. Fleming Creek & Brookside’s ideal location is just two miles from Lake Ontario and within walking distance of Northgate Plaza. A library is also located nearby, on the corner of Lake and Britton. Tucked into a secluded valley in Greece, Fleming Creek & Brookside provides a close-knit neighborhood just north of Downtown Rochester. 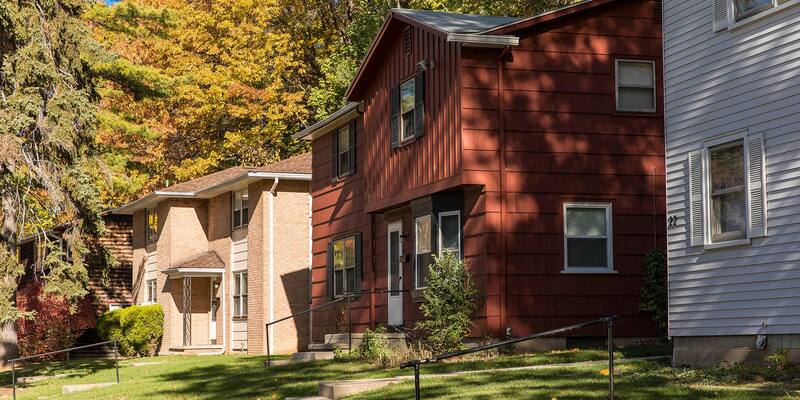 Our two-bedroom townhomes feature three full floors, a private entrance, oversized kitchens, a yard, and some townhomes have a private deck or patio. 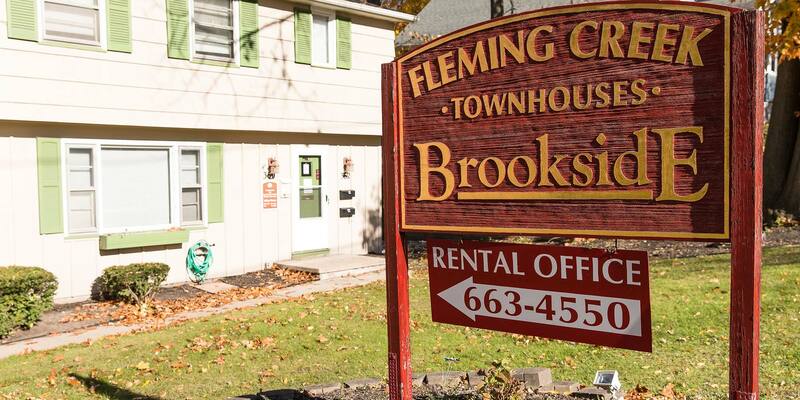 Call Fleming Creek & Brookside today to schedule a tour! When you enter through the private foyer of your Fleming Creek & Brookside townhome, you’ll discover an open great room and plenty of storage space! Large windows provide natural light, and the eat-in kitchen is elegantly designed. Some townhomes have private decks or patios, and every townhome has a yard.